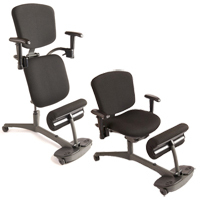 The STEPL Chair from Mey Chair Systems provides a comfortable seat for those working at fixed elevated workstations. 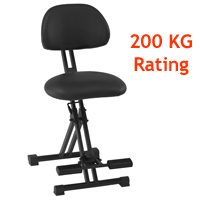 A cushioning, gas spring lift provides a seat height range from 23.2" to 33.1", sufficient for most elevated worksurfaces. 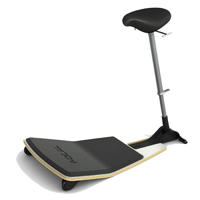 The STEPL has a wide seat and back, both with 2" padding for comfort. 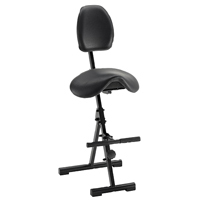 The angles of the seat and back are independently adjustable and the seat back is height adjustable, features that enable individual users to position support where it is most beneficial. 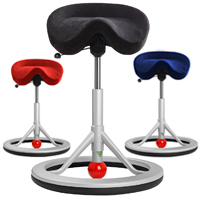 Two footrest options are available. 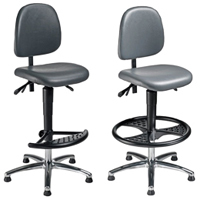 Model 07030 features a 120° steel footrest with an aggressively treaded surface for safety. 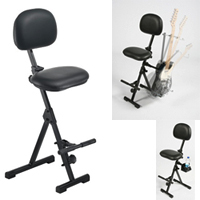 Model 07033 is equipped with a large 22.8" diameter heavy steel footring that provides a convenient 360° of fixed support for the feet a minimum of 7.5" above the floor. 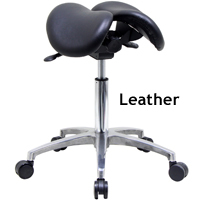 Both footrests can be secured at greater heights if necessary. STEPL chairs are upholstered with supple imitation leather. Model 07030 is available in Black with red accent stitching. Model 07033 is available in Anthracite Grey, with red accent stitching. 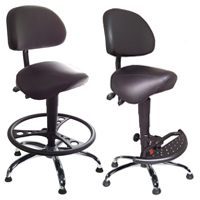 07030 STEPL Drafting Chair, Black imitation leather, integrated fixed footrest. 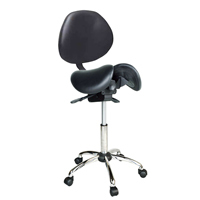 07033 STEPL Drafting Chair, Anthracite Grey imitation leather, integrated fixed footring.